Savory and delicious, this 4 ingredient soup could not be easier to stir up! 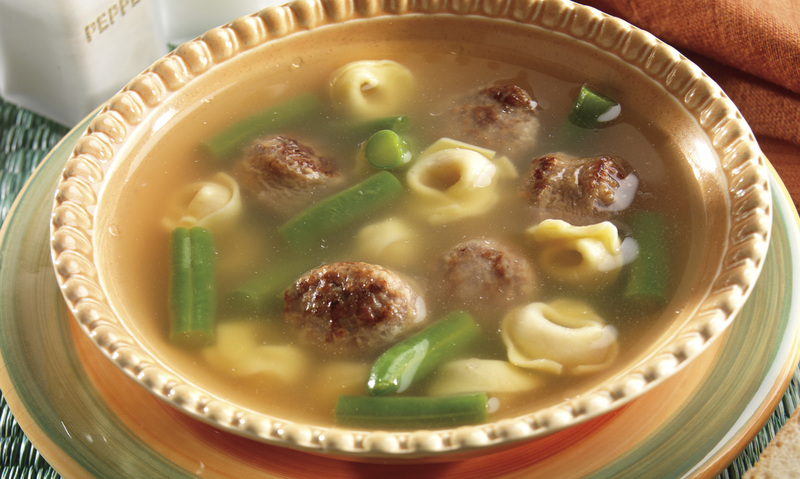 Enjoy this warm tortellini soup with a green salad and Italian bread. In large saucepan over medium heat, brown sausage. Add tortellini, chicken broth and green beans. Bring to a boil. Reduce heat to low, and simmer 10 to 12 minutes or until pasta is tender and sausage is cooked through. 1 In large saucepan over medium heat, brown sausage. 2 Add tortellini, chicken broth and green beans. Bring to a boil. 3 Reduce heat to low, and simmer 10 to 12 minutes or until pasta is tender and sausage is cooked through.